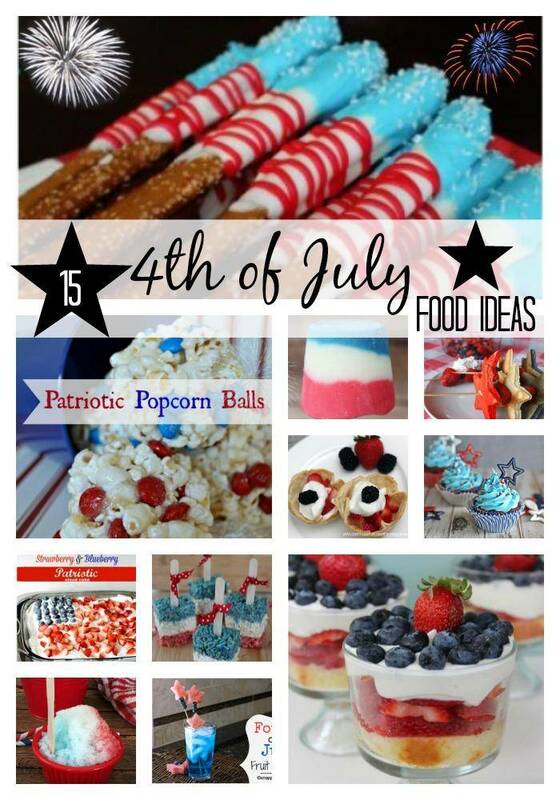 If you love making some fun 4th of July Food to serve at your holiday gathering, be sure to check out these 15 Fun & Delicious 4th of July Food Ideas! Whether you are hosting a big party, want to bring something fun to a party you are attending, or just want to make some special treats for your family at home, there are some yummy ideas to choose from here. We love this Strawberry Pound Cake with Blueberries! And it’s the PERFECT 4th of July Recipe to share with your friends and family! A perfect 4th of July breakfast idea or a cool afternoon snack, these Patriotic Layers Smoothie Recipe will be a hit! Everyone loves Rice Krispy Treats! Be sure to check out this Patriotic Rice Krispy Treat Pop recipe! Here is an AWESOME Patriotic Pudding Pops recipe that will be a fun treat for the 4th of July! If you need a fun and delcious dessert to serve at your party or to take with you, this Patriotic No Bake Strawberry Blueberry Cloud Cake is quick and easy AND delicious! If you love to add some great fresh fruit to your party menu, be sure to check out this fun Watermelon Star Cake! Perfect for a 4th of July breakfast or a snack or party food, these Yogurt Parfaits in Tortilla Cups are simple to throw together and everyone will love them! I love these Patriotic Popcorn Balls! Including the fun red and blue patriotic colors into a yummy popcorn ball! The kids will love to help you mak these Flag Pretzels for 4th of July! And everyone will love to help you eat them! Start celebrating the 4th of July with this super cute 4th of July Pancakes recipe at breakfast! Kids (and adults) LOVE snow cones. Serve these Patriotic Snow Cones for just your kids or at your 4th of July celebration! These 4th of July Cake Pops are delicious and SO much fun for your guests to eat! Pefect for your 4th of July party! Cupcakes are always a hit at parties! These Patriotic Blue Frosted Chocolate Cupcakes are perfect for your 4th of July party! These 4th of July Fruit Skewers are a cute addition to your guests drinks at your 4th of July Party. Or just fun to eat!